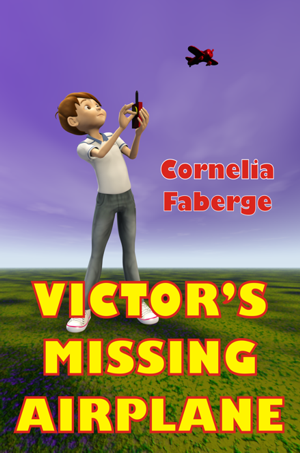 Victor is a boy who loves to play outside with his little red radio-controlled airplane which he received as a gift for his last birthday from his parents. One Saturday, he flies his little red airplane outside of his house when he decides to see how high it can fly. Although his father warned him against it, he decides to go ahead as he thinks that there is nothing that can go wrong. But, boy, was he wrong about this idea! Suddenly a large bird appears out of nowhere and zooms towards the little red airplane. In the wink of an eye, Victor’s airplane disappears from the sky. Where did it go? Would Victor ever be able to get it back again? This little children’s picture storybook, containing 18 black-and-white illustrations (color illustrations for the e-book versions), will captivate kids from around 4 to 8 years old with its story of a boy’s radio-controlled airplane that goes missing in mid-air. With an important lesson to learn for kids, this book can be used by youngsters who are learning to read, or by parents who want to read it to their children at bedtime (or any other time). Copyright © 2010 CruGuru Publishers. All Rights Reserved.